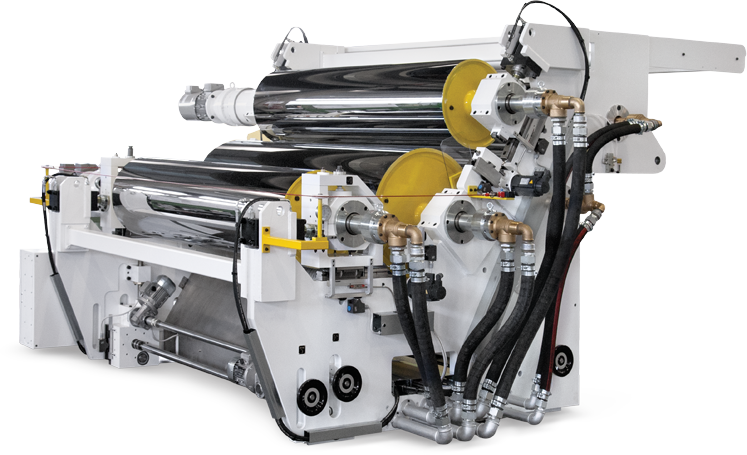 We engineer and manufacture complete extrusion lines both with single and/or twin screw extruders for rigid film and sheet. 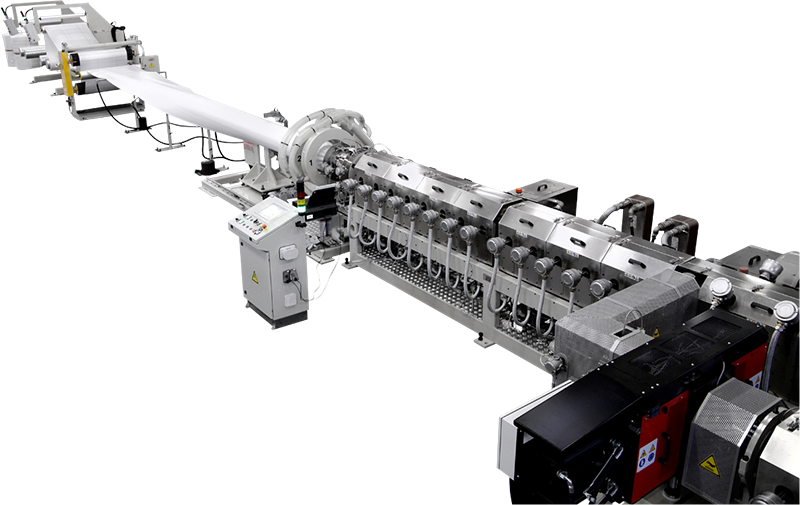 Among others we have developed the first twin screw extruder in the world with three high efficiency vacuum degassing. Union’s policy is to design and realize extrusion lines with an excellent quality and always equipped with the most advanced technology available on the market. Flexibility and technological development are the tools we use to achieve what not everyone yet can do. Established in 1950, Union is today a solid and modern business reality, leader in extrusion field for rigid and foam plastic material, specialized in manufacture complete extrusion line at high technology and components to enhance existing lines. UNION is one of the few manufacturers to keep a workshop inside of its industrial unit for machining operations. This choice has much contributed to ensure a very high level to our products. Customer satisfaction and a loyalty to our company are the main indicators of our success. We are committed to providing specific projects, ensuring a high support in every step of the process, from project consulting to the line manufacture and installation. The quality reached in 65 years of activity and research allows us to realized extrusion line feature with a high production, reliability and a high performance levels, offering also advanced support to continue operating with a maximum safety in the future. Since 1950, the same location, the same community , to ensure continuity of management and experience from generation to generation. We love to consult with our customers to understand, before customizing. The standard does not belong to us, we do what the customer needs and not what is cheaper for us! In 2018 we became part of the family of the 500 best Italian companies for our financial solidity, investments in innovation and profitability. Our success over time is the first form of guarantee for our customers! We study, engineer, produce and test everything we sell. We are manufacturers and not assemblers! We are a family where the customer always finds certain and available references. By us each customer has a name and not a code! SUBSCRIBE! YOU WILL BE THE FIRST TO BE INFORMED ON THE NEW TECHNOLOGIES!